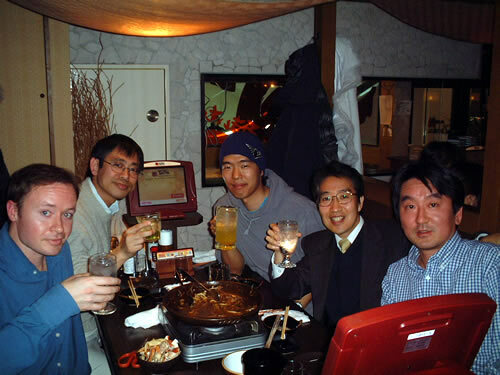 My buddy Scott (to my right), previously known as 'The King of Roppongi' returned to Japan for a couple weeks recently. His reign was brief but widely considered by experts to be 'one of the greatest ever known' (sic). What made his regime so great? Mainly his generousity to his subjects in having parties and get togethers at his palace, which was within walking distance from Roppongi. He reigned supreme for about 2 years but was exiled back to Canada by forces beyond his control. 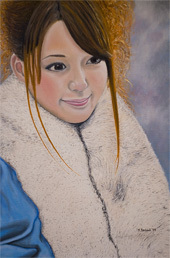 He then fled to Australia to escape the winters and since then, has secretly come back to Japan for a few incognito visits. At the far right is his girlfriend (princess) Makiko, To Scott's right is JC, who took power after Scott, but although he tries hard to be a good King, he is considered by same experts (above) to be unable to match Scott's rule. Although he is generous, he decided to build his palace in a far away location to make it more difficult for his subjects to share in the wealth. 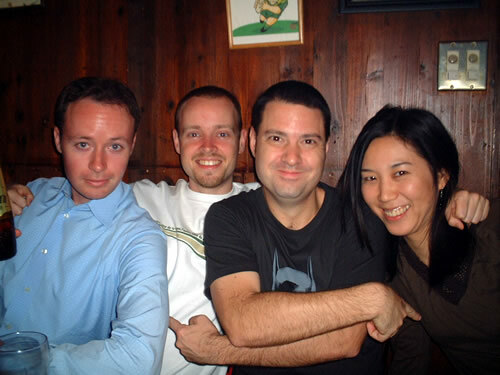 Anyway the four of us got together on Scott and Makiko's last night for beers, food and conversation. Good times! JC turned 36 today! To celebrate the fact that he's getting older, he decided to combine a halloween party with his birthday and the result is a bunch of drunken people wearing silly costumes showing up at his house. 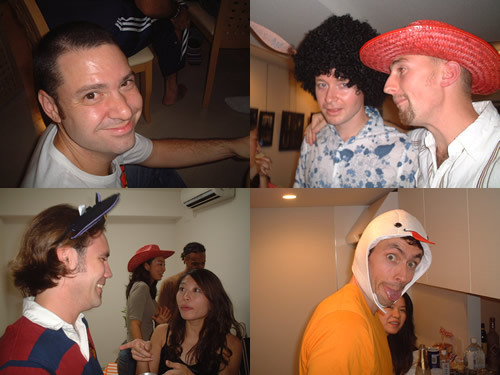 Well to be honest only a few people wore costumes, and even though you might notice me wearing an afro, it's not mine, it belongs to Mike standing beside me in the cowboy hat, which happens to belong to Yasuko who you can see in the background of the bottom left picture. In the foreground you can see Jason and Kumi, Jason wearing Kumi's headgear when in actual fact he is supposed to be dressed up as Harry Potter. Why's everyone exchanging costumes? At the bottom right is Bruno in his chicken hat or something... JC has a huge place and there were more than 30 people there, most of them women who I'd never seen before. Turns out a lot of them are single and good looking too! So why is JC single as well??? Hang in there buddy! Funny the things you miss when they aren't readily available. When you live in a foreign country one of the things that affects you the most is the lack of many of the food products that you can get back home. In Japan, the list of things that you can't find here but wish you could is very, very long. 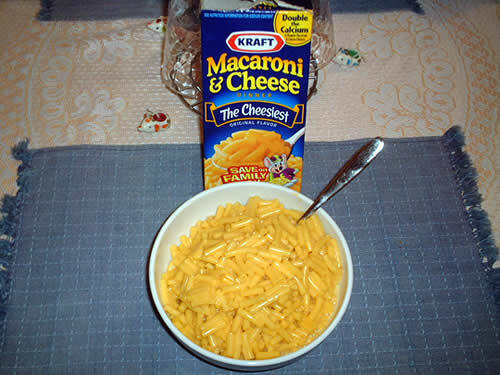 Back home I only occasionally ate Kraft (macaroni and cheese) Dinner, and while I liked it, I didn't love it. More than 6 years in Japan makes you crave the things you can't have though, and until now, I'd never found Kraft Macaroni and Cheese Dinner here. But a chance peek into a foreign food store in Akihabara changed all that. Before, I usually brought a few boxes back with me whenever visiting Canada and savoured them over here, and will probably continue to do so. Why? My euphoria was short lived. The price of one box here is 318 yen, which is about five times more expensive than it is back home. As you can see though, I decided to splurge on a box. 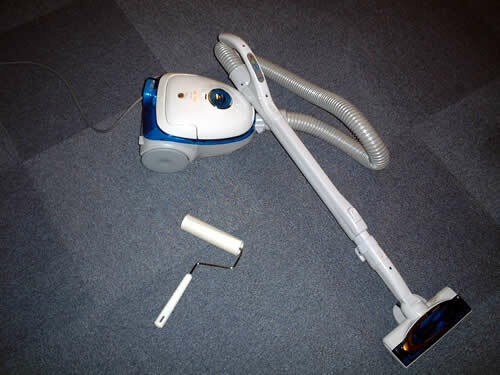 Looking forward to getting a few more for Christmas from the parents this year though! Who needs to go to an Indian restaurant when you've got cooking skills like I have? I'll admit to being influenced by my buddy Scott who posted about his own curry cooking a few weeks ago. Not having any recipe I browsed through google for a while until I found a nice curry recipe site, picked one I wanted to try and had a look at the ingredients list. Suprisingly simple. I already had most of the ingredients. And away we go! The thing about curry though, it takes a friggin' long time to make. After adding the oil, onion, garlic, chilli pepper, cumin, tumeric, coriander and ginger, you're supposed to let it cook for about 15 mintues. After that you add some water, salt and tomato puree and let it cook for another 30 minutes! Then you add your vegetables and meat, etc. and cook again.... Talk about whetting your appetite. 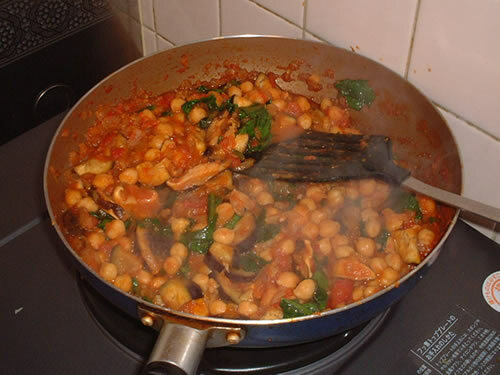 Anyway I decided to be healthy and made a vegetarian curry, adding chick peas, mushrooms, spinach and eggplant. Was it any good? Not bad at all, but slightly mild. More chilli powder next time. I felt a little traitorous when I went out to celebrate the American Thanksgiving day this year. The Canadian (true) version is in October, on the 2nd Monday while the American version is on the 23rd of November. Anyway my friend Jason, being American, was eager to celebrate so he, and some of his students, UK Mike, Kumi and I headed out to the Pink Cow for their amazing Thanksgiving buffet. Luxury comes at a cost though, it was 3900 yen per person, (about $40) . 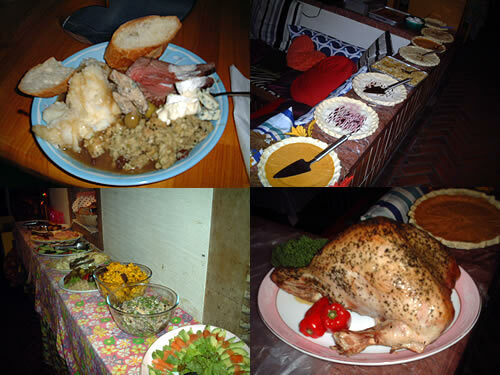 We all tried to get our money's worth by eating as much as we could, you can see my plate piled up on the top left. However I was unable to eat a second plate much to my disapointment as the food was excellent. Guess the days where I could do that are behind me now. I remember when my Merck (pharmaceutical company) class first started, it was way out in Saitama. It took about an hour and a half just to get there and required me to ride two trains and take a taxi for about 15 minutes. Had to do this every Wednesday for what seemed like forever. 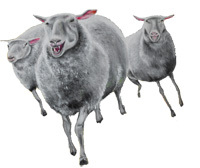 Then miraculously, two of my students changed offices and another one left for a different company. The office the two students transferred to happens to be within walking distance of my place so suddenly Wednesdays went from being stressful to super easy. Also one of my longest running classes, the course ran for just over one year, which is unusual since most of my classes are only a few months. Here we are after the last class, celebrating at a nearby izakaya. From left to right: Chie, Aya, (me of course) and Takeshi. All three of them were positive, energetic, and enjoyable to teach. Good luck in the future guys! Merck is actually my second longest running class, but Toyo Glass is the clear winner. I've been teaching here now for close to two years without pause. When I first started, the class had about 14 students, but over time this number dwindled down to two core students: Joe, sitting to my left, and Shio, sitting at the far right of the picture. Cheers to both of you for hanging in there while most of the others have given up. There are about 3-4 other students that come occasionally, some only once or so every two months, others for only half the class time. Toyo Glass as you migh have guessed, makes glass. Glass bottles to be specfic. They also happen to be located way out in the industrial heart of Kawasaki, Kangawa, so getting there and back is a bit of a pain, taking about an hour and a half one way. Still, I've been working with them so long now it would feel strange going anywhere else Friday evening. Seeing how it's once again the end of the year, we all went out to celebrate like last year. This year though, Toyo Glass paid for our little party. Nice! Cheers guys! More treats that can be made without an oven! 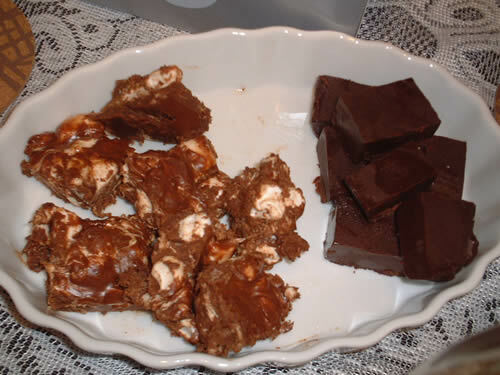 I was hoping to make my personal favourite of my mom's Christmas treats: peanut butter marshmallow squares, but finding one key ingredient, butterscotch chips, turned out to be impossible. 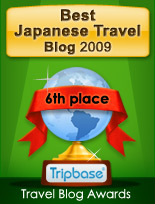 I must have checked about 20 stores, 5 of them foreign food stores, but no luck. Anyway I figured that I'd make them with a new twist, and use chocolate chips instead of butterscotch. Well you can see the results to the right, although you can't taste them. Too bad for you because they turned out awesome. I served them at a little christmas party I had and they were a sensation. I also made fudge for the first time in my life. I had no idea fudge was so simple. Just melt chocolate chips, add condensed milk and some vanilla, pour into a tray and chill baby, chill. It also turned out to be dangerously delicious. Damn I'm good. Just imagine the things I'll be able to do when I do get an oven!